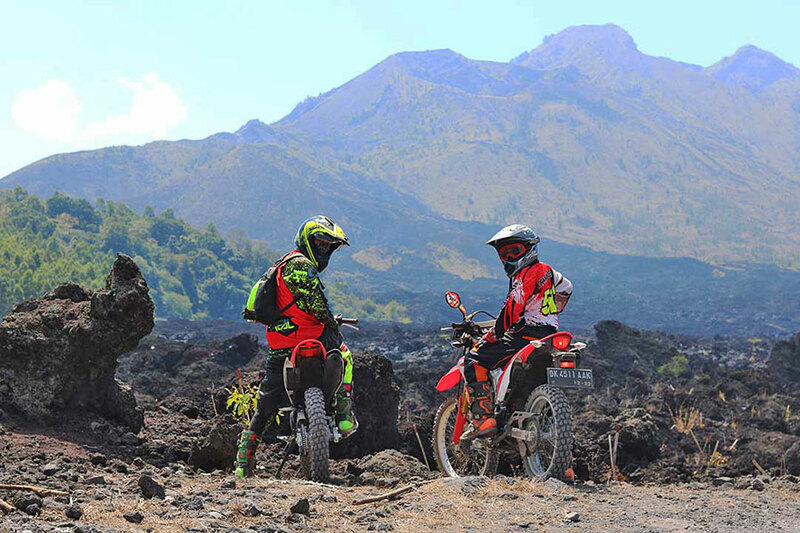 Black Lava Dirt Bike Adventure for experienced in and around the most beautiful and pristine Mount Batur area nouthern parts of Bali. 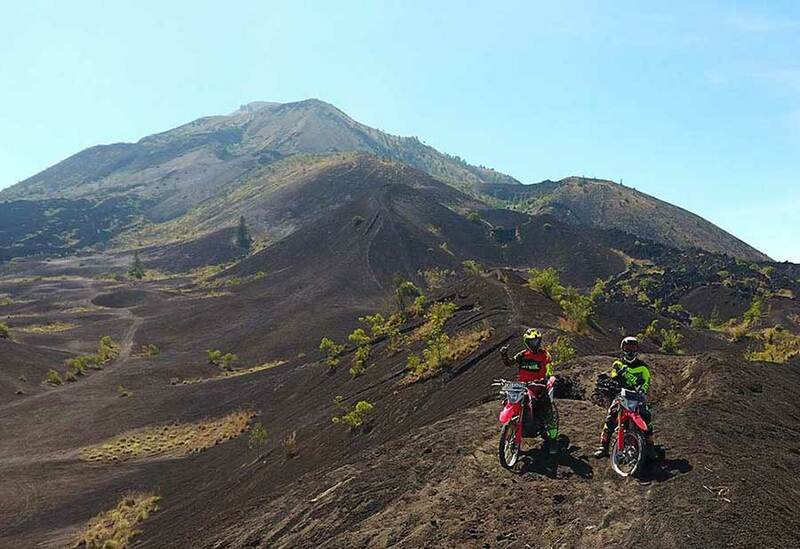 Our routes are carefully selected to provide the most exciting journey because the track has the most beautiful scenery near Mount Batur. . 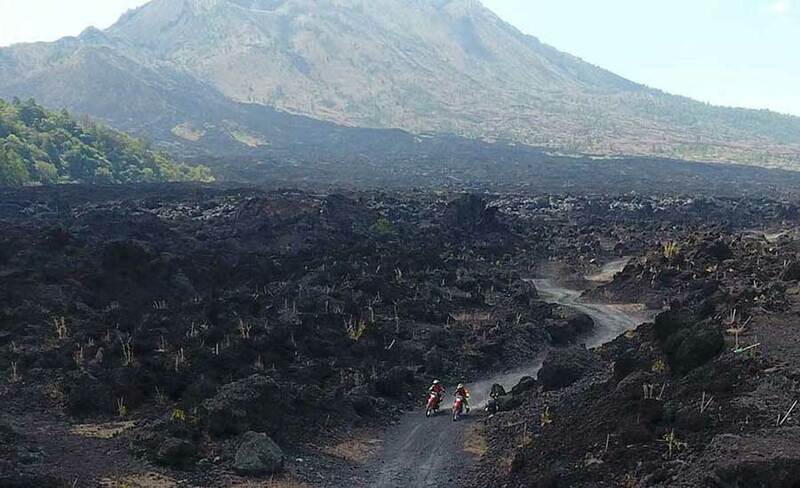 This trail gives you the unique opportunity to ride on the volcanic landscape of Mt Batur: a vast area of black sand dunes that will make you feel like you’re riding on another planet. 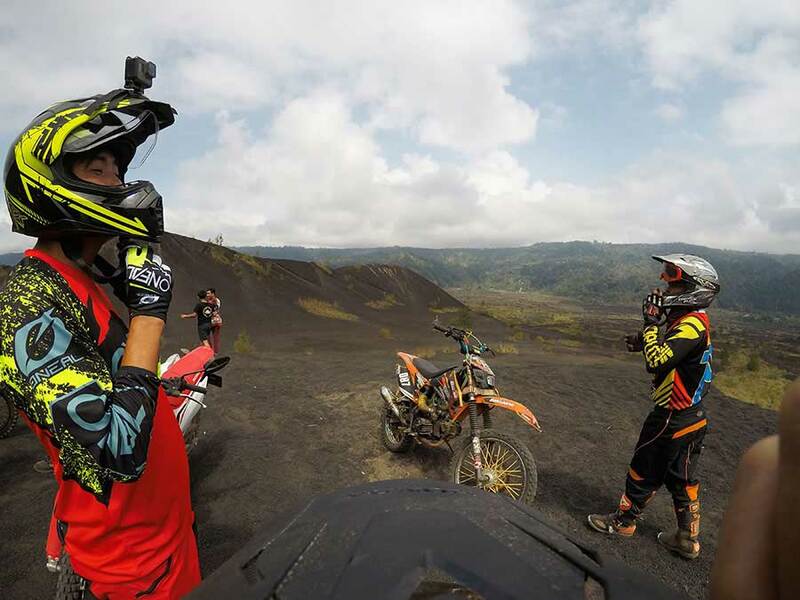 Experience the thrills of riding in the ring of fire or jumping over the dune to take back memorable highlights of your trip to Bali. 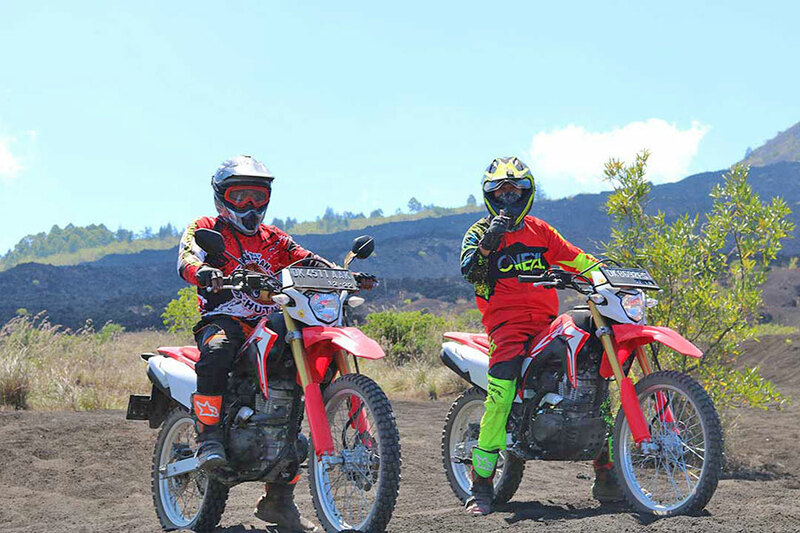 Specialist dirt bike tours are led only by qualified Balinese and also Indonesian dirt bike guides who expertly cater for all dirt bike riders from beginners to professionals. 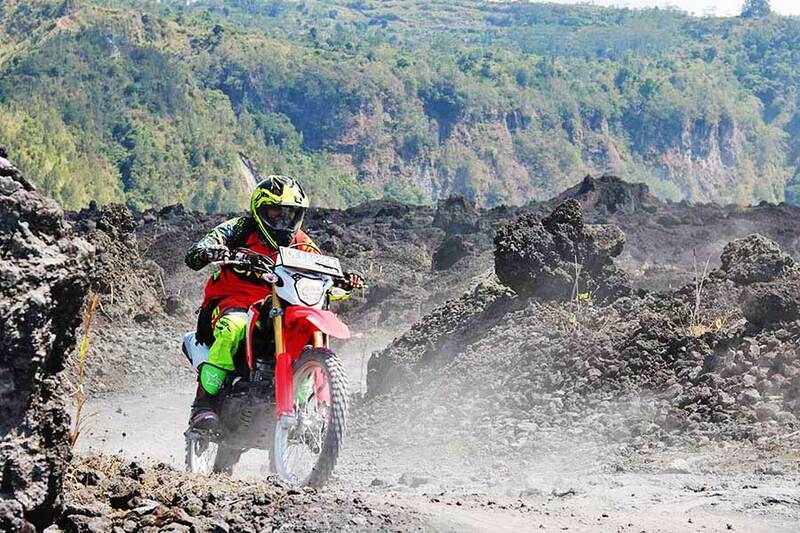 The beauty of nature, the many type of terrain, the easy to challenging tracks the hosptatality of rural villagers,their openness, their smile and also our attention to details will ensure you to have a memorable Bali dirt bike tour experience. Pick up time 07.30 from hotel around Kuta, Legian, Seminyak, Jimbaran, Nusa Dua, Ubud, Uluwatu, Canggu, Bangli, Gianyar and also Sanur. We need 1,5-2 hours driving from your hotel to starting point in kintamani. After we finish of the biking, we will visiting natural hot spring for relax and shower by natural hot water while watching the beautiful panorama and feel the cool nature. 07.30 AM : Depend on hotel location. 16:00 PM: Return to the Hotel. Your trip will be accompanied by a friendly bali driver from Bali A1 Driver team. Our bali driver always ready to answer all your questions about this package. More information and book you can contact us and we also will be coming on YouTube channel. And finally please follow and subscribe our channel to see interesting videos about beautiful place in Bali.